We have some very exciting news for our Runescape fans from Europe, specifically the UK. We have been keeping an eye on this announcement and that is why our Runescape Gold is at such a great price at the moment. 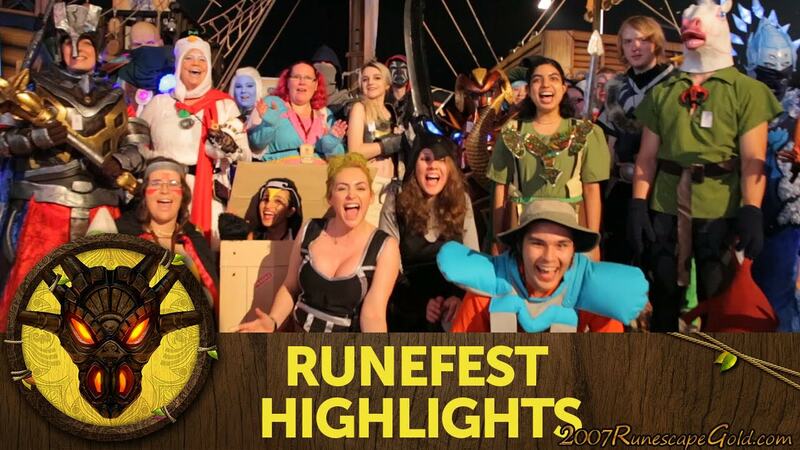 We love Runefest and really hope that we can send at least a couple of people from the 2007RunescapeGold.com office over there to check out the event. As of right now, information is pretty thin. Over at the official Runescape website they have just announced that the event is happening on the 23rd of September and just like last year's event. It will be held at Battersea Evolution in London. They mention ticket details and event details will be announced soon, but it is exciting to think of what cool stuff could be happening at Runefest 2017. Last year's Runefest had an Eastern Lands theme which looked really cool. There was, of course, a full day of events, games to play, merch to buy and just general Runescape awesomeness all over the place. Think of Runefest as Disney Land for Runescape fans and you will have an idea of what to expect. For those of you who do not like in the UK, you can still be a small part of the event. Last year many of the events and action from the event were streamed on Twitch, so we assume that will be the case for Runefest 2017 as well. To celebrate Runefest 2017, we have made sure that our RS Gold is being sold for a great price to be sure to have a look. Also, let us know what kind of things you would love to see at a Runescape convention.